The state of New Mexico offers a number of benefits and perks for those Americans who have either served in an Armed Forces branch in the past, or are current active military members. New Mexico offers a wide variety of distinguished military honor license plates commemorating the different military branches, service medals, specific campaigns, and individual battles. Eligibility for each of these plates requires certain criteria be met, including proof of current or past military service (honorable discharge), proof of having participated in a specific battle, or discharge papers or U.S. Department of Veterans’ Affairs documentation of the award received. Note: there is a limit of four Gold Star Family plates available per eligible family who’s a surviving mother, father, spouse or step-parent of a service member killed during armed conflict. There is no fee for this special honorary plate. There is a $17 fee collected for each non-motorcycle plate that will be transferred to the Armed Forces Veterans License Fund, which allows services to expand within the rural areas of the state including Native American communities. There is a $9 fee for motorcycles, and you can utilize application form MVD10353. As of 2011, the Federal Motor Carrier Safety Administration instituted the Commercial Learner’s Permit rule. This rule contains a provision authorizing SDLAs (State Driver Licensing Agencies) to allow U.S. Military drivers to leverage their service-related truck driving experience in lieu of the skills test to obtain a CDL (Commercial Driver License). In order to be eligible to skip this portion of the testing process the driver must apply within a year of leaving a military position which required them to operate a commercial vehicle. The driver must have had two years such experience in order to qualify for the waiver program. There is a range of offenses that can disqualify military personnel from participating in the skills waiver program; these include things like DUI, hit-and-run accidents, or using a CMV to commit a felony. The Military Skills Test Waiver program in New Mexico and almost every other state is the result of collaboration between the U.S. Department of Defense, the U.S. Army, and the American Association of Motor Vehicle Administrators in order to make the process of getting a CDL easier for veterans. Military personnel with applicable experience can download and print the waiver here. Applicants must still complete the written CDL test. The Heroes to Highways program was announced December 10, 2013 as a way to usher returning veterans back into the workforce by allowing them to receive an exemption from the Federal Motor Carrier Safety Administration program, allowing those within 90 days of separation to transition from active duty directly into the workforce by waiving a portion of the requirements for obtaining a CDL. Since service members do not generally have to obtain certification while in the military, civilian drivers are required to take several tests as well as have a safe driving history and show proof of civilian CMV driving in the past. Learn more about this program here. 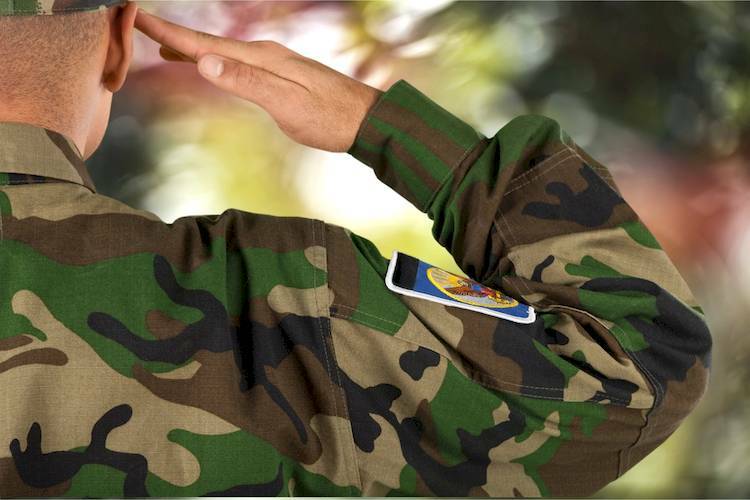 Active or veteran military personnel who wish to find out more about veteran and military driver laws and benefits in New Mexico can consult the state’s motor vehicle division website here.